August | 2015 | What is ML Reading? 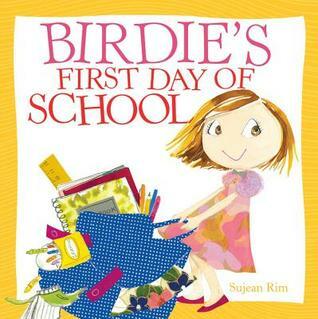 Today is the beginning of kindergarten for the children of several friends. 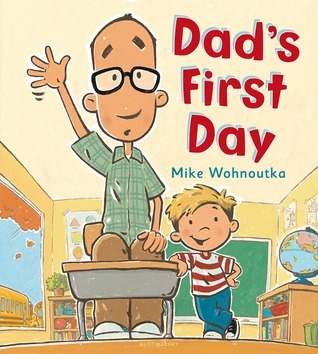 Dad’s First Day by Mike Wohnoutka provides a twist on first day jitters. It’s the parent, not the child whose tummy hurts. Oliver’s dad doesn’t want to take him to school; so he hides all over the house and yard. Goodbye is hard for Oliver’s dad, the teacher has to carry him outside screaming. At one point, he screams, “I’m not ready for school!” Ready or not it’s here. I hope my friends have a not too teary morning; and this dreary, rainy day goes well for all our kindergarten friends and their teachers. 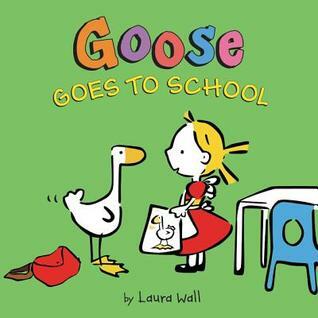 The PTA at ML’s school provided a new service this year. You could order school supplies online in May; and they would be delivered to her classroom for the first day of school. This is on the list of my TOP three things which happened this year. No more looking for an 8 pack of crayons with basic colors. Based on our experience last year, this staple from my childhood no longer exists, except with sparkles in them. 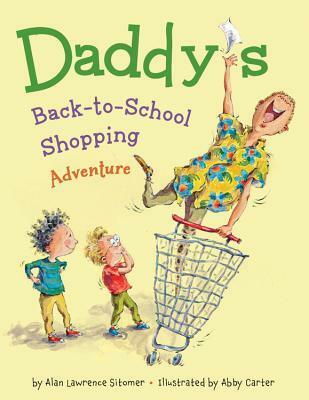 Today, Daddy’s Back-to-School Shopping Adventure by Alan Lawrence Sitomer and illustrated by Abby Carter arrived. 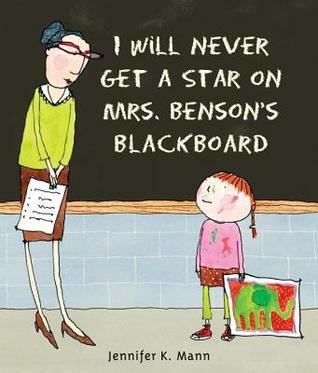 I immediately laughed because ML meets her teacher tomorrow and I’m certain there may be some additional school supplies to buy. I work this weekend; so it’s up to ML and her Dad to fight the crowds. I won’t miss the thirty minute decision making process ML has when choosing a binder. 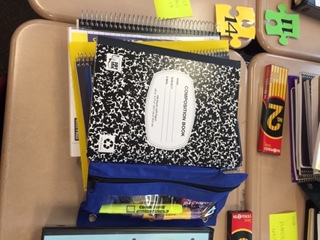 My friend posted, “Two stores, both of them mad houses, and $200 later, we have most of the school supplies. I still have to get a large broom head, 3 pool noodles, paint pens?? ?, and a roll of heavy duty aluminum foil. Sigh.” I had a sigh of relief. I’m sure we will get request for some interesting items throughout the year. Thankfully, I didn’t have to fight the crowds; nor will I have to lug several bags of school supplies on the first day. Now back to the book. I can relate to the dad’s nostalgia. 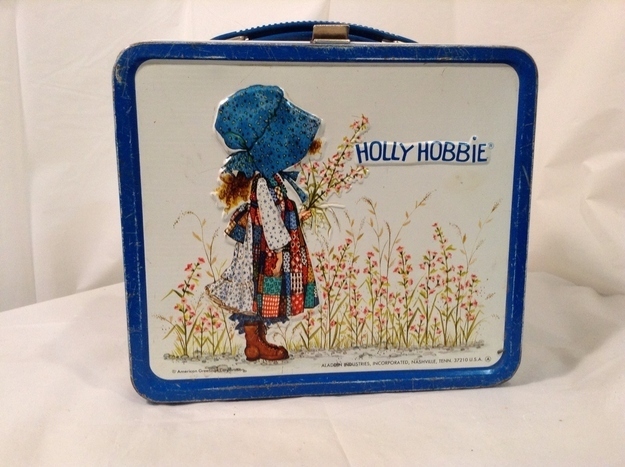 If I saw a Holly Hobbie lunchbox at the store, I wouldn’t be able to resist. 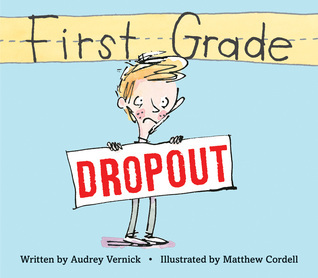 I’ve read 315 picture books this year; but blogged about very few. 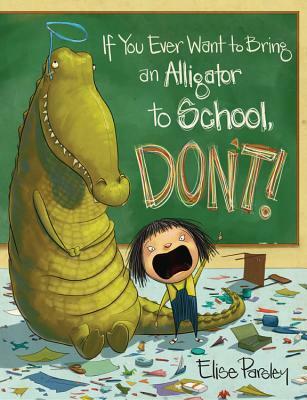 That doesn’t count the 42 new picture books the library received this week. 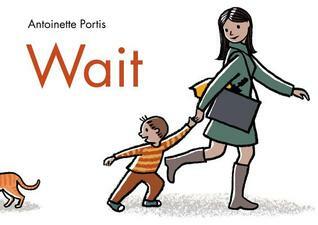 One of my favorites is Wait by Antoinette Portis. It reminds me of when ML was little. We had to stop and look at every rock, bug, stick, cat, dog, and shiny thing we passed. A four block walk to the park often took fifteen minutes. One of the joys of being around young children is seeing the world through their eyes. No matter how hurried we are, they always seem to find something to remind us why it’s important to slow down and wait. I promise I won’t keep you waiting any longer. 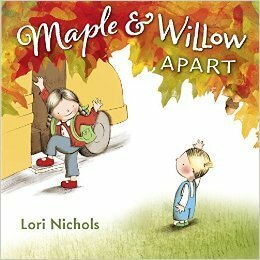 I’m back to blogging about picture books. 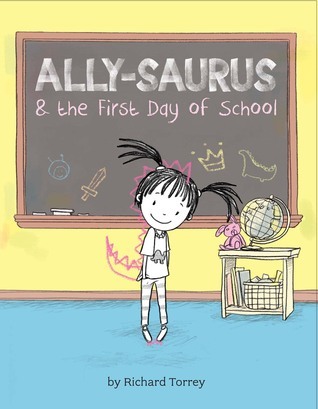 And Julia will keep us up to date on middle grade novels.